The Hollywood Reporter, “Everybody’s Doing It”: Cheating Scandal Shows How Privileged Kids Fake Disability,” March 16, 2019. 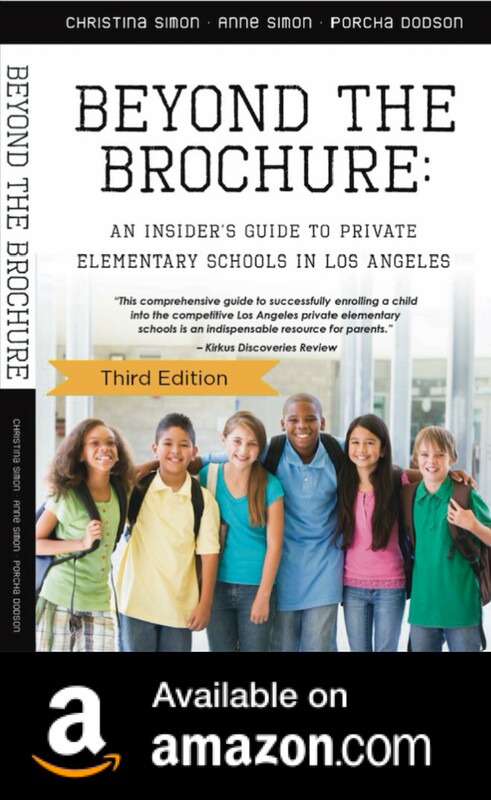 The Hollywood Reporter, The Hollywood Insider’s Guide To Los Angeles Private Schools, August 24, 2018. The BBC Newsday on Thursday, June 28, 2018 discussing Ad Astra, the private school at Space X, founded by Elon Musk. 5 Best Mommy Blogs in Los Angeles on Care.com, June 7, 2017. Advice For Parents About Admissions & Waiting Lists, on CBS-Los Angeles (Channel 2) on March 15, 2017. Beyond The Brochure named one of L.A.’s best mom blogs 2013 by Mommy Poppins. 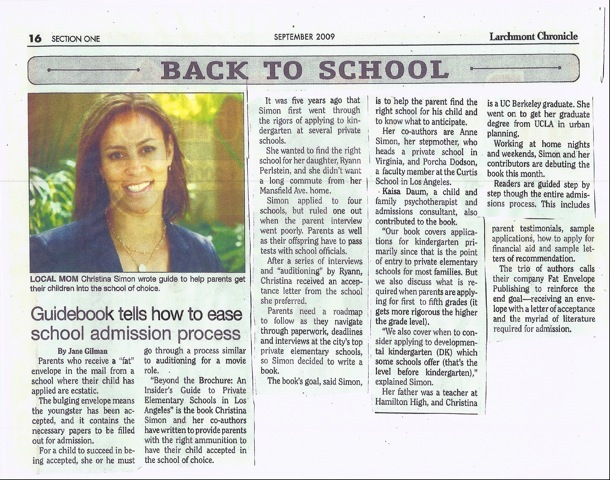 Q&A With Wildwood School’s New Director of Admissions in the Venice Patch. L.A. Private School Spring Break Vacations: The Most Coveted Getaways! on The Daily Truffle, March 27, 2013. The Hollywood Housewife recommends Beyond The Brochure (and writes about her own preschool search).